As usual, the blogosphere provides many fascinating content, with articles, reviews and giveaways and makes my surfing through the Internet very pleasant. Today I will focus on some contests running around the blogosphere, but first of all I will start with an amazing article. 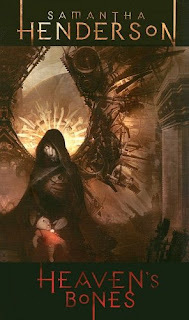 Robert, the very nice blogger from Fantasy Book Critic, has an absolutely stunning spotlight of the upcoming novels in 2009. The article is impressive in length, content and titles and in my opinion is not to be missed (well, it made my to buy list even larger than it is already). Graeme, the blogger from Graeme's Fantasy Book Review, has two giveaways. 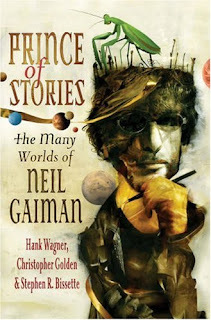 At first we can win a copy of "Prince of Stories: The Many Worlds of Neil Gaiman" by Hank Wagner, Christopher Golden and Stephen R. Bissette. This competition however is open only for the US residents. The second contest is open to the UK residents and has as prize two packs of Charles Stross' "Merchant Princes" series, containing "The Family Trade", "The Hidden Family" and "The Clan Corporate". At Book Spot Central you can always find interesting contests. The last ones that caught my eye are a signes copy of Samantha Henderson's "Heaven's Bones" (with a catchy and interesting cover art :) ) and 5 copies of the forthcoming novel of Holly Phillips, "The Engine's Child". The contests are open to all the Book Spot Central members. 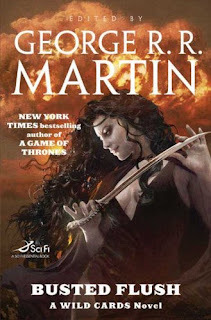 Theresa at Fantasy & Sci-Fi Lovin' Book Reviews has contest with a very attractive prize. 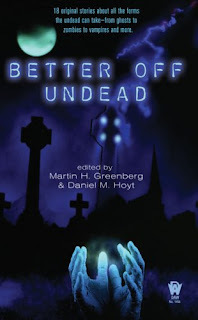 We can win 3 short stories collections, "Witch High" edited by Denise Little, "Better Off Undead" edited by Martin H. Greenberg & Daniel M. Hoyt and "Moving Targets: And Other Tales of Valdemar" edited by Mercedes Lackey. The contest ends on 5th of December. Last, but not least Pat at Pat's Fantasy Hotlist has another goodie (as usual). His giveaway has quite a prize, 2 ARCs of "Busted Flush" autographed by all the contributors, George R.R. Martin, Melinda Snodgrass, Carrie Vaughn, S. L. Farrell, Victor Milán, John Jos. Miller, Kevin Andrew Murphy, Walton Simons, Caroline Spector and Ian Tregillis and 2 signed posters of "Busted Flush". I wish you (with only half of mouth ;) ) good luck to all! Thank you for sharing the information and the links of these interesting books being released.